Speeding tickets are among the most common ways that motorists acquire points on their driver’s licenses. Whether it’s deliberate haste, inattention to your speedometer or disregard for posted warnings, it only takes a moment to attract the attention of law enforcement and get stuck with a pricey summons. It’s not only the fine that stings; the points on your license can drive up the cost of your insurance premiums. Twelve points within a year results in a license suspension. 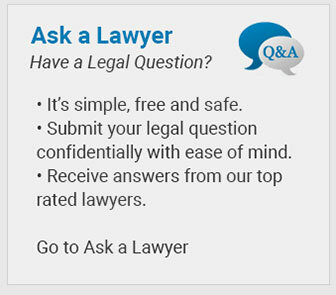 Fortunately, the Law Offices of Adrian H. Altshuler & Associates is available to help. For more than 20 years, we’ve provided effective court representation to Tennessee motorists fighting speeding tickets and other traffic violations. Because excessive speed is linked to traffic accidents, injuries and fatalities, the state has a great interest in enforcing speed limits. In addition to escalating fines, points increase depending upon the rate of speed charged on your citation. Points and fines are higher for speeding in construction zones. Fighting a speeding ticket requires some knowledge of the law, the rules of evidence and police procedure. You need to know how the citing officer determined you were speeding. When the officer claims to have clocked you on a radar gun, you have a right to challenge that instrument to determine if it has been maintained properly and is producing accurate readings. If the officer made a judgment about your speed by pacing — that is, trailing you at a consistent distance and verifying the speed via the patrol car’s speedometer — you have a right to question the accuracy of that process. The traffic violation attorneys at The Law Offices of Adrian H. Altshuler & Associates have a record of success challenging speeding tickets issued in Williamson County and central Tennessee. We have been able to have tickets dismissed and charges reduced, resulting in lower fines and fewer points. Speeding ticket defense attorneys at The Law Offices of Adrian H. Altshuler & Associates serve Spring Hill, Murfreesboro, Lawrenceburg and Pulaski, Tennessee. If you have been cited for speeding, we can effectively fight your ticket. Call us today at (615) 412-1121 or use our convenient online form to schedule your free initial consultation.